At first glance these figures looked sound, with revenue advancing 6% and operating profit climbing 14%. However, the comparable figures for 2014 were very poor after ASY suffered an “unseasonably mild winter” and found nobody wanted to hire its heaters. For some perspective, the first-half operating profit during 2013 was £6.4m and had come in at £6m or more during 2012, 2011, 2010 and 2009. I note ASY’s revenue improvement was due entirely to the performance of its Middle East and Africa division — where sales jumped a super 55% to £5m. In contrast, the top-line in the UK fell 3% to £19.2m. “Trading in the third quarter to date has been positive. Europe experienced a period of hot weather during the early part of July which stimulated a high demand for air conditioning products. Although this was short lived in the UK, our operations across mainland Europe enjoyed a hot summer with prolonged periods of above average temperatures. Activity in the Middle East has remained consistent through the summer period, with trading levels ahead of last year in both Sharjah and Abu Dhabi. This statement was released on the final day of the third quarter, so those three “positive” months are now in the bag for the year as a whole. A check of the accounts did not reveal anything too worrying. Margins were a decent 18%, capital expenditure continues to be covered by the depreciation charged against earnings, while surplus pension contributions were scaled right back to just £5k. However, working-capital movements were somewhat chunky, with £2.2m absorbed mostly into fresh stock. But the balance sheet remains robust, with net cash of £13.5m (32p per share) supporting another confident dividend of £5m (11.9p per share). 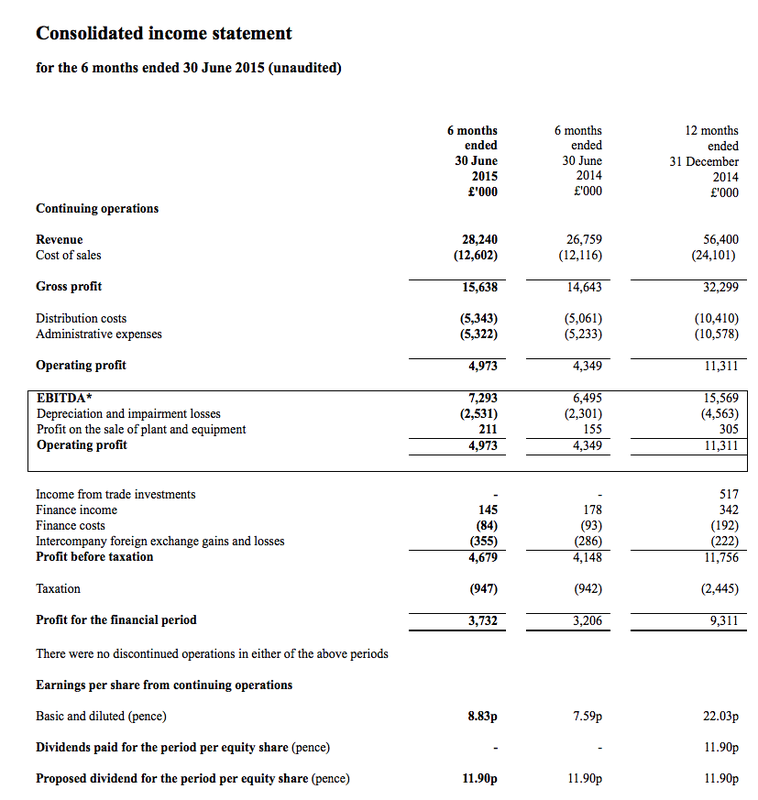 Trailing operating profit (plus my best guess of ASY’s annual trade-investment income) now runs at £12.2m, which translates into earnings of £9.8m or 23p per share on a standard 20% tax charge. Subtract the £13.5m net cash position from the £135m market cap and I arrive at an enterprise value of £122m or 288p per share. Divide that 288p by my 23p per share earnings guess and the underlying P/E is 12. As I have mentioned in my previous ASY posts, I initially bought ASY when the shares were on a P/E of 8. And with ASY’s revenue and profit having essentially stagnated for the last ten years, I still feel I need to buy at a similar rating again to make the most of the firm’s cash generation and dividends. Meanwhile, the trailing 23.8p per share dividend slightly exceeds my earnings guess — which is why the yield at 320p is 7.4%. * Next update — ex-div 8 October, dividend paid 4 November, annual results probably early May. The link to the interim results in the article above take you through to the FY results issued in May. I’m curious as to how you calculated the Trailing operating profit of £12.2m – I’d appreciate how you are arrived at this. ASY has been on my watchlist for a while, and agree with you that the price needs to get cheaper before I buy in. Any comments would be useful. Good spot on the link — now corrected. The 12.2 comes from i) 4,973 H1 2015 Op profit less 4,349 H1 2014 Op profit plus 11,311 FY 2014 Op profit and ii) I then added on 300k for the trade investment income.